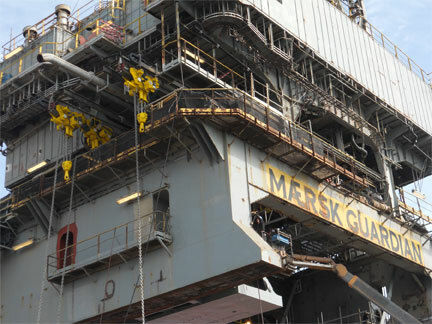 Four J D Neuhaus type EH50 air operated monorail hoists have been supplied and mounted by Westcon Løfteteknikk AS of Bergen to the Maersk offshore rig Guardian. These products have been specified for the synchronised lifting and handling of an 18.3/4” 15,000psi BOP unit before and after drilling operations. 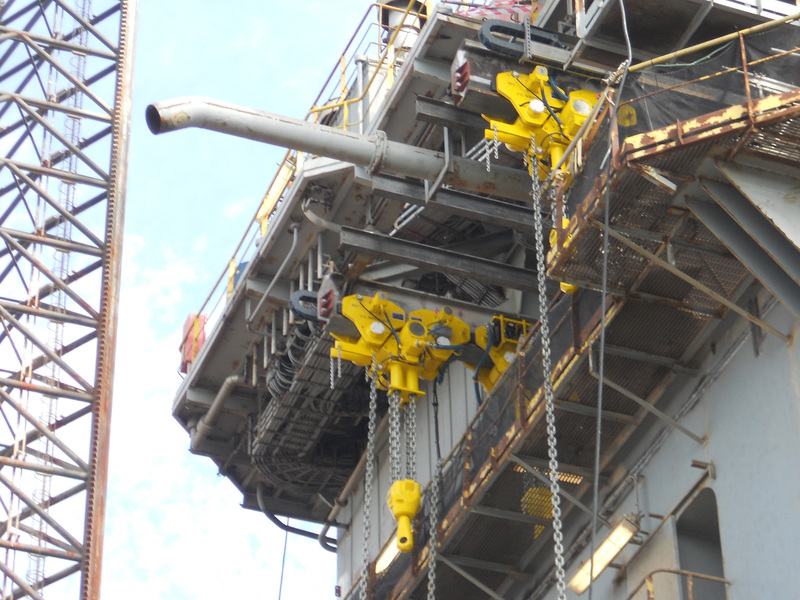 Two hoists are each mounted on twin parallel overhead rails, with each hoist providing 50 tonne load and 20 metre lift capacities for between deck operations. Removable connector bars have also been supplied for fitting between paired hoists on the individual rails to maintain a fixed working distance of 4060mm between the load hook centres. 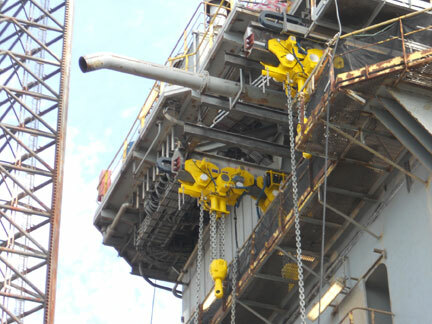 With the two sets of hoists operating together, a combined lift capacity of 200 tonnes is made available. The minimum horizontal travel distance of the trolleys with the connector bars fitted is 14.81 metres. The maximum available free travel without the connector bars in place is 18 metres, with the travel distance limited by pneumatic end switches mounted on the hoist trolleys. Synchronised operation of all linear movement and lifting operations of individual, paired or all the four hoists when used in conjunction, is provided with the F type multi-function pendant controllers also supplied by JDN. 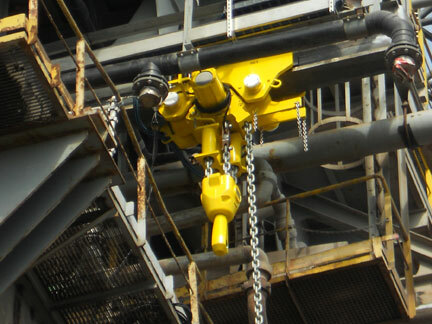 These tough, ergonomically designed controllers are suitable for the outdoor, heavy-duty operations that can be experienced offshore. A main air emergency stop together with load monitoring device is incorporated in the controllers. The two overhead beams are 23 metres in length and also carry twin energy chain power supplies, with each power chain comprising two x 1” diameter air supply hoses. 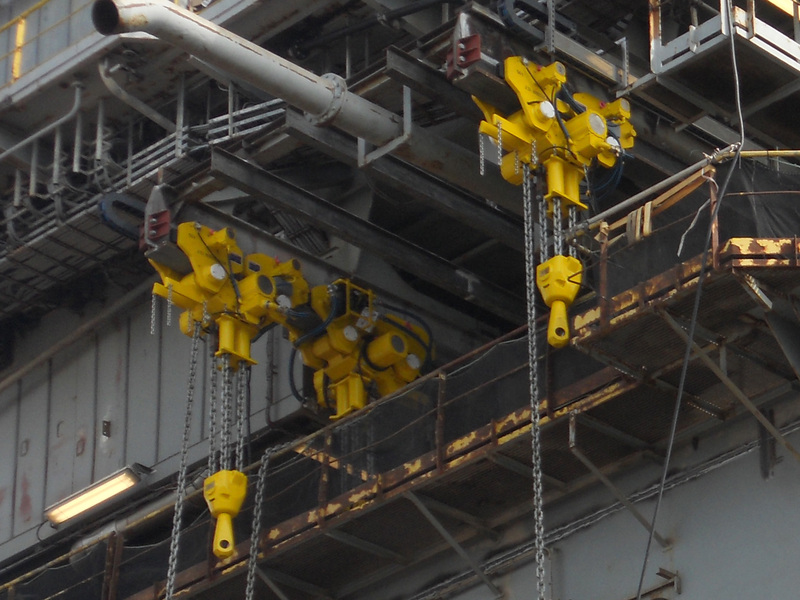 The hoists provided are part of a range of well-proven JDN monorail hoists with individual lift capacities from 10 to 115 tonnes. 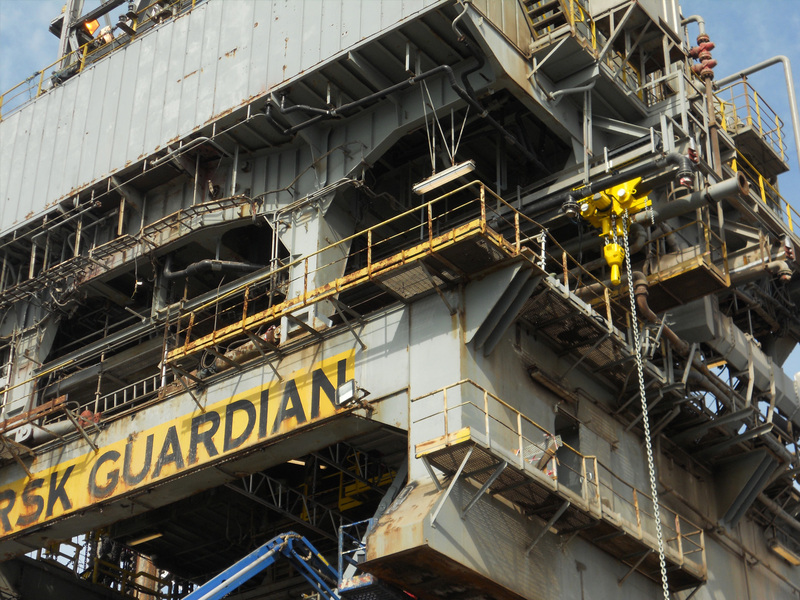 All these products are fully ATEX rated and have been designed for BOP handling operations, providing reliable, robust and efficient performance on land as well as on jack-up and semi-submersible drilling platforms. They feature a compact design with low installation heights with ultra-low headroom options also available. They are ideally suited for working in hazardous areas and the drives are hermetically sealed-off from the environment. They incorporate integrated overload protection with a fully enclosed, robust gear motors and extremely low noise emissions and with optional air or hydraulic hoist operation. Westcon Løfteteknikk AS is an authorised Norwegian sole importer of J D Neuhaus lifting and handling equipment.